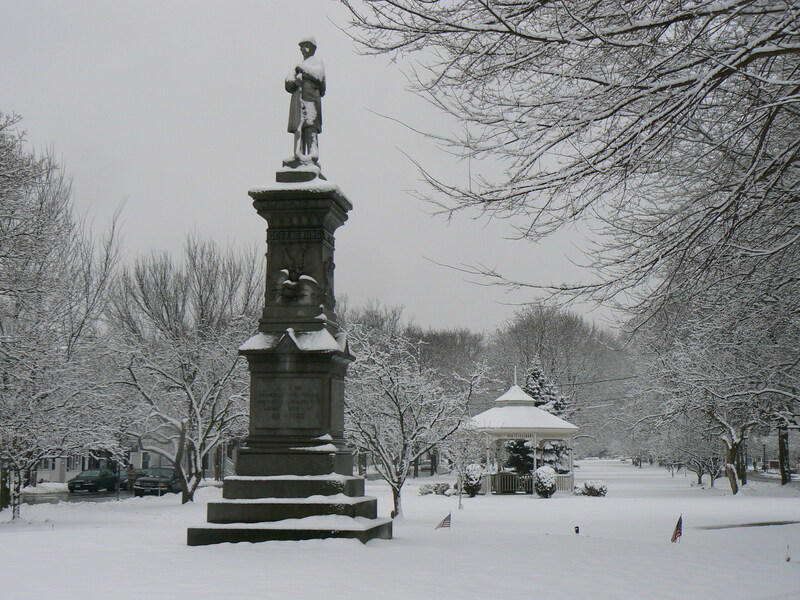 During a break in the wet snow blanketing southern Connecticut today, we again visited the 1888 Soldiers’ and Sailor’s Monument honoring Milford’s Civil War veterans. 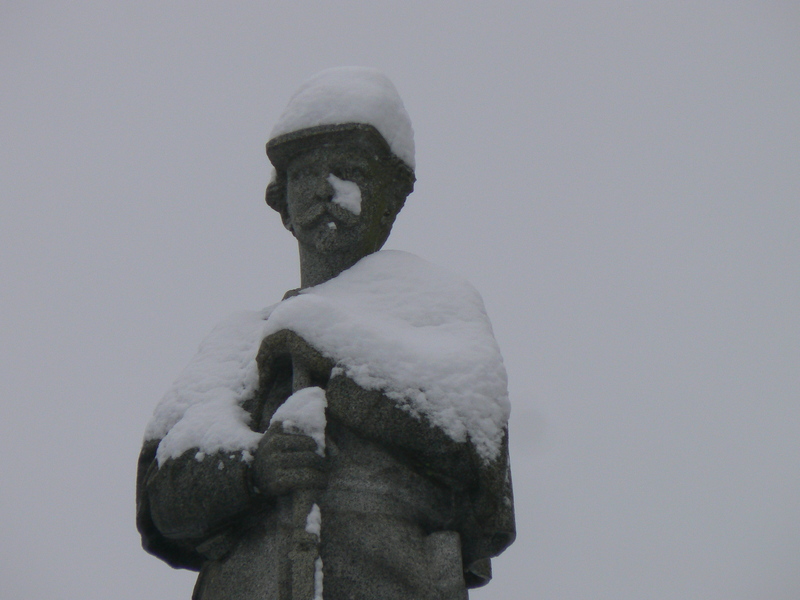 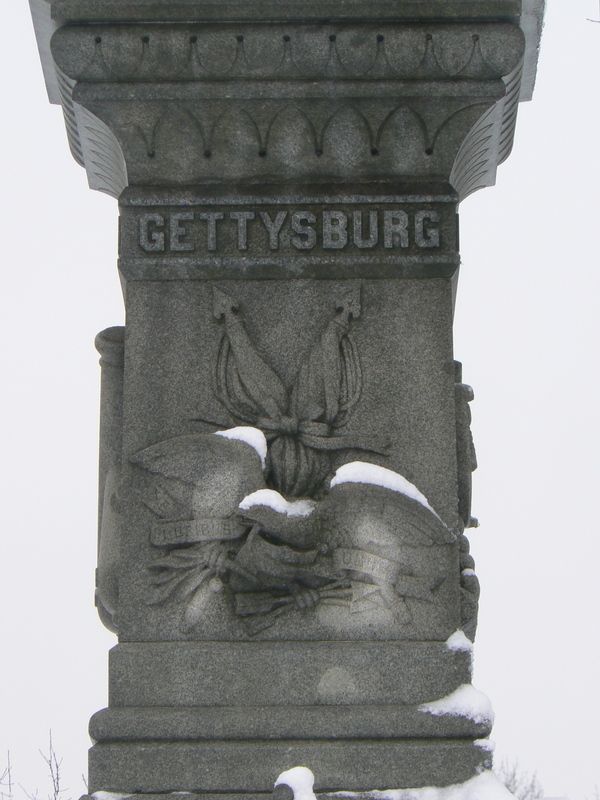 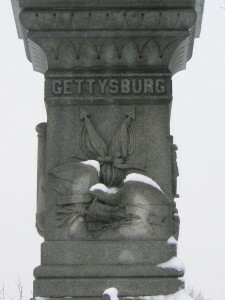 Unlike the tulips and holiday lights we saw on earlier visits to the monument, wet snow clung to much of the monument, including the eagle on the front (east) face and the infantry figure atop the monument. 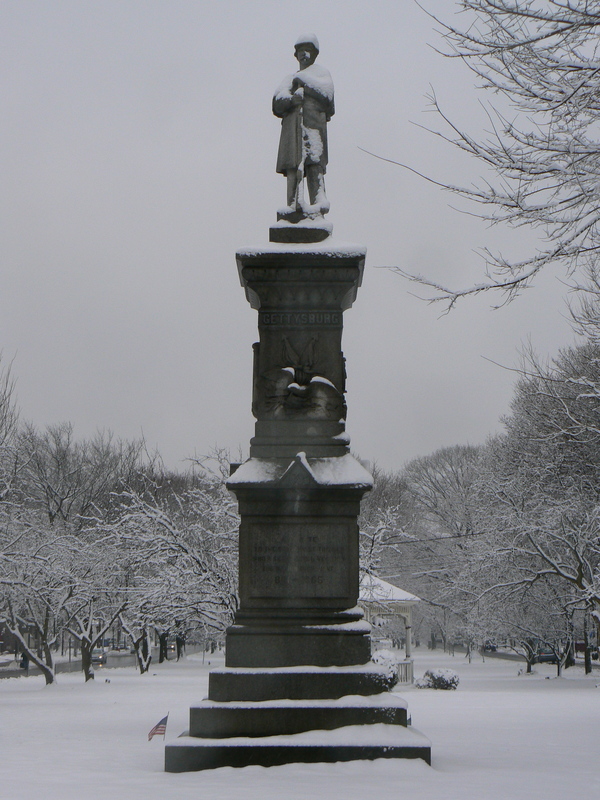 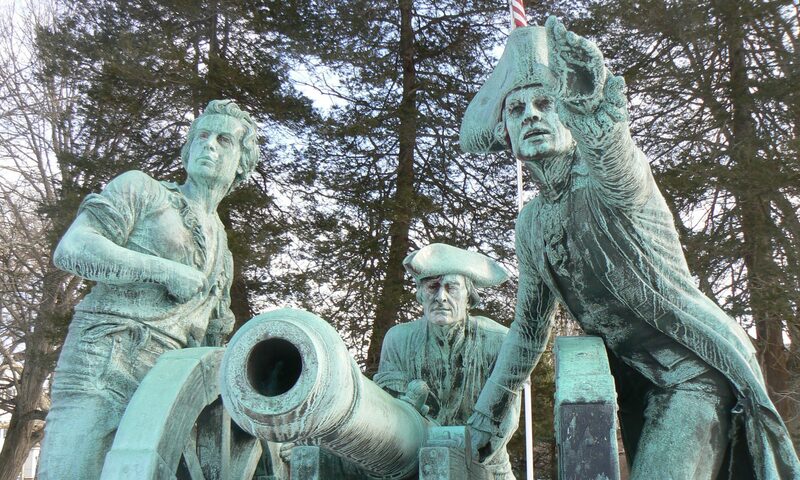 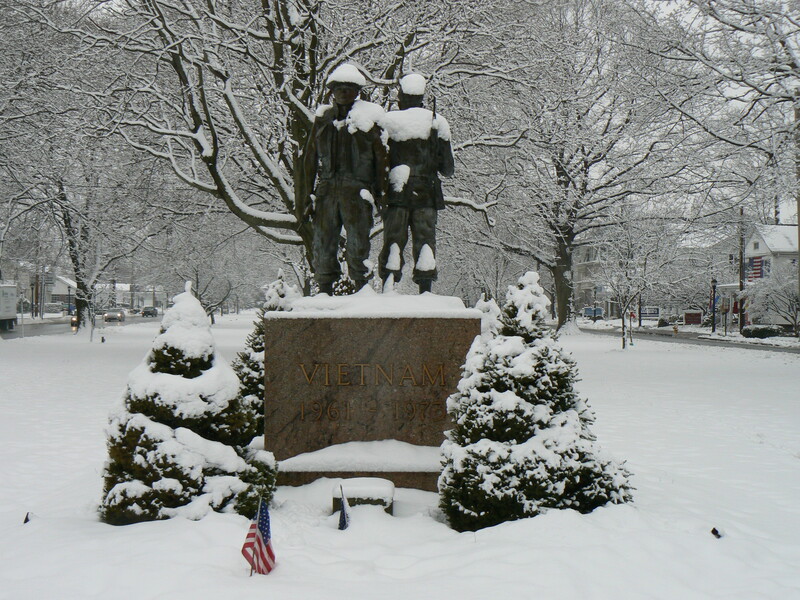 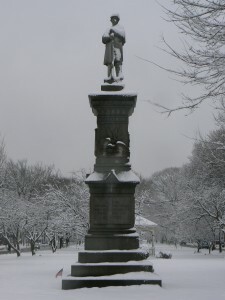 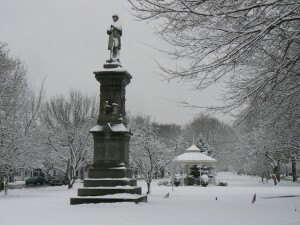 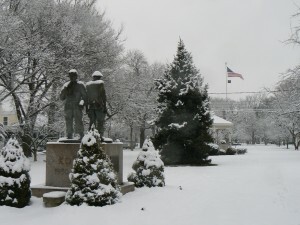 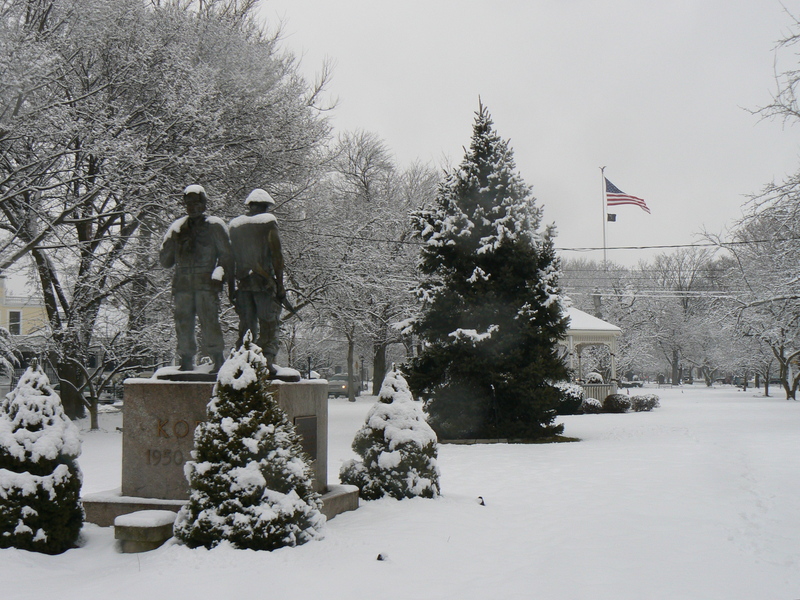 A bit west of the Soldiers’ and Sailor’s Monument, the bronze figures on Milford’s Korea and Vietnam War Monument were also covered with snow.